There’s nothing quite like good organization. 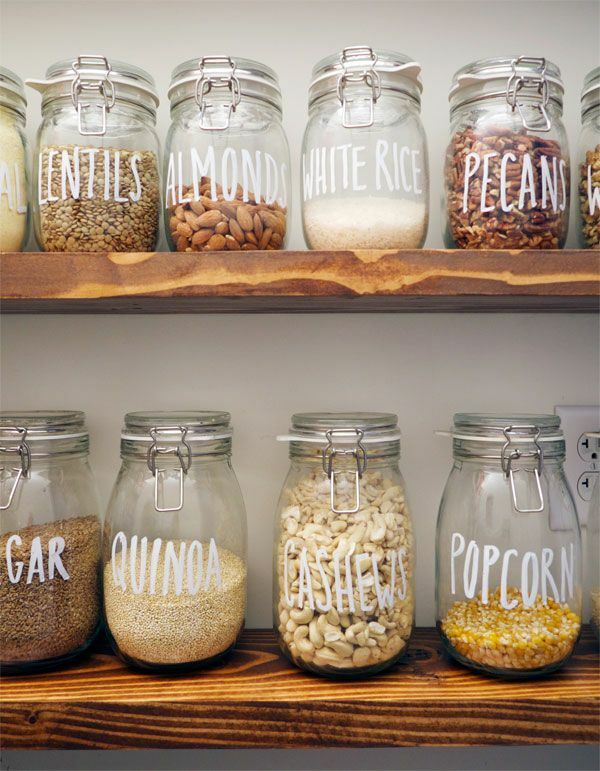 Help yourself out with these free printable labels. Add some depth and texture to your bedroom by transforming your headboard with this simple hack. Use Stikwood for the project. Learn more from Sugar and Cloth. 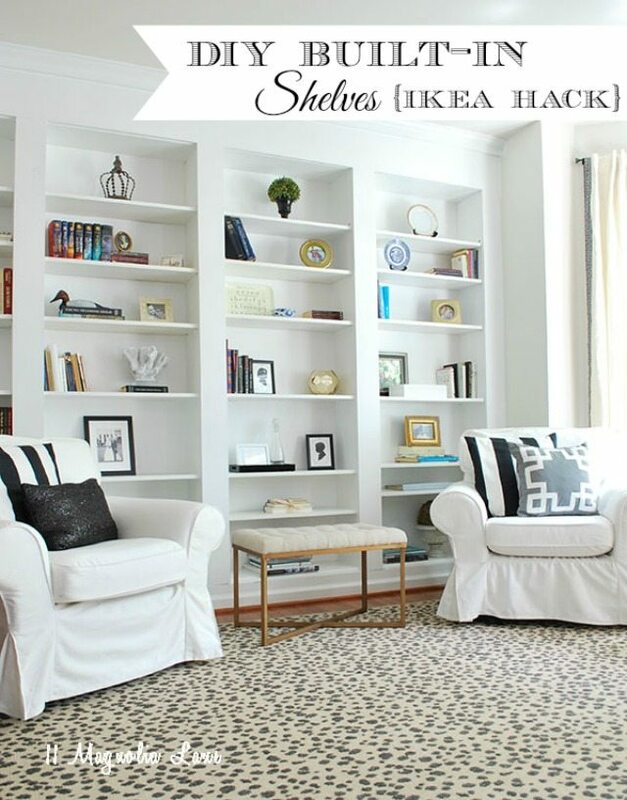 Install a built-in bookcase with this easy IKEA hack. The project is surprisingly easy! Get the full tutorial on 11 Magnolia Lane. Who says simple can’t be luxurious? 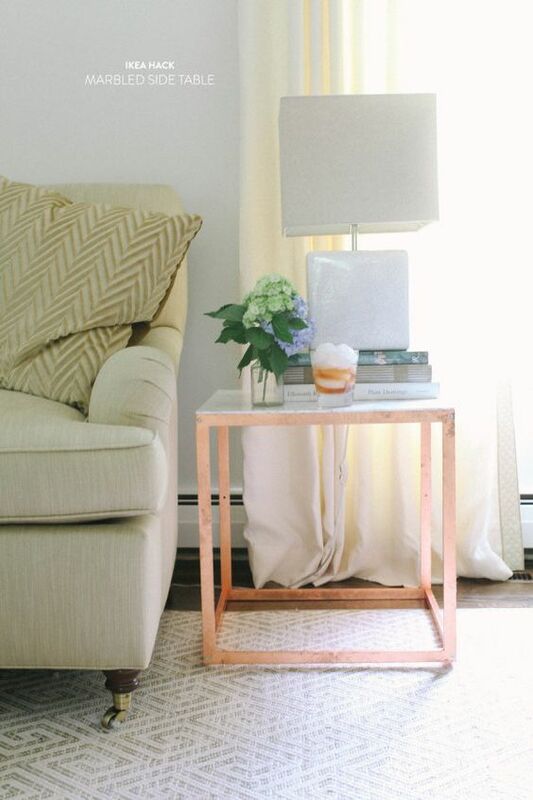 Make this fabulous marble and copper side table for an even more fabulous $30. Find out how from Style Me Pretty. I love having some touches of nature in my home. 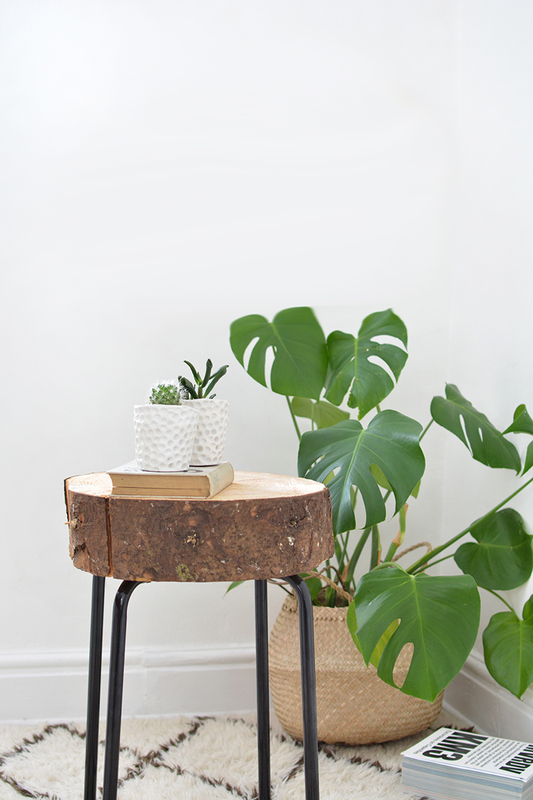 This wood side table is perfect for just that purpose. It’s as easy as attaching a wood slice to an IKEA stool. Read more here. One of the best feelings is lying down with your feet up after a long and rewarding day at work. I love knowing that I’ve put my all out there and that now it’s time to just be. Make a fantastic IKEA-inspired footstool pouf to help you relish in these moments. Directions found here. 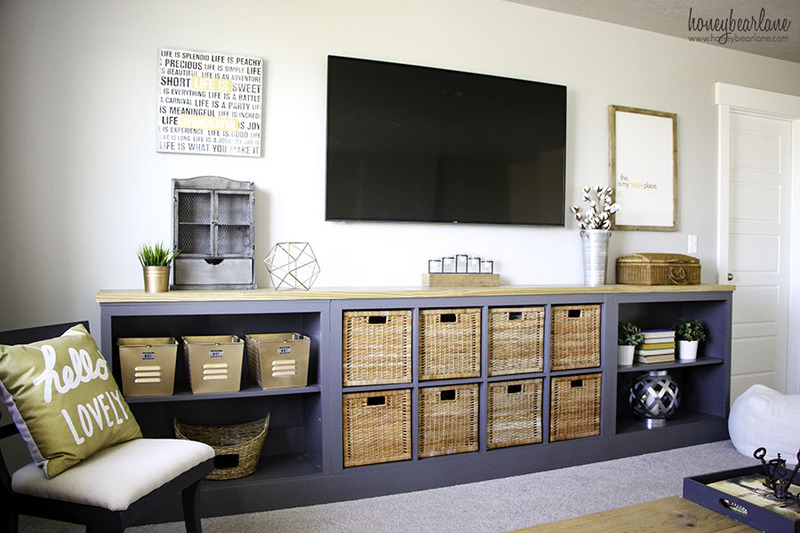 Upgrade your entertainment center, bedroom, or family room shelving with this IKEA Expedit hack. Where will you use yours? Tutorial. What do you get when Martha Stewart meets IKEA? Rug pillows! Find the fabric that’s just right for your home and follow these simple instructions to make your own. I like the retro feel to this Modern Kalax shelf. 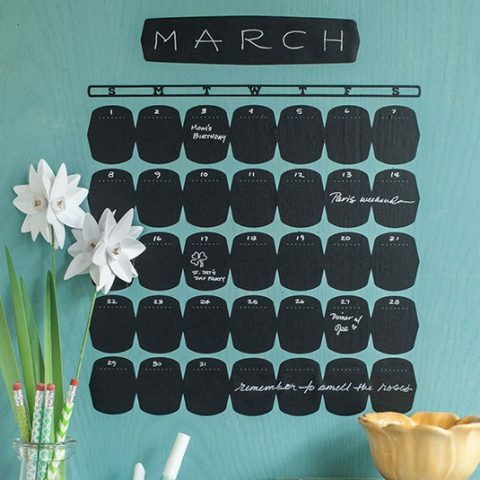 Perfect for any room and easy to make. I actually want to make one for my classroom. When I do, I’ll find the instructions here from Hawthorn & Main. I’m really into natural wood projects lately. I love how they can create subtle but powerful variations in tone and texture. 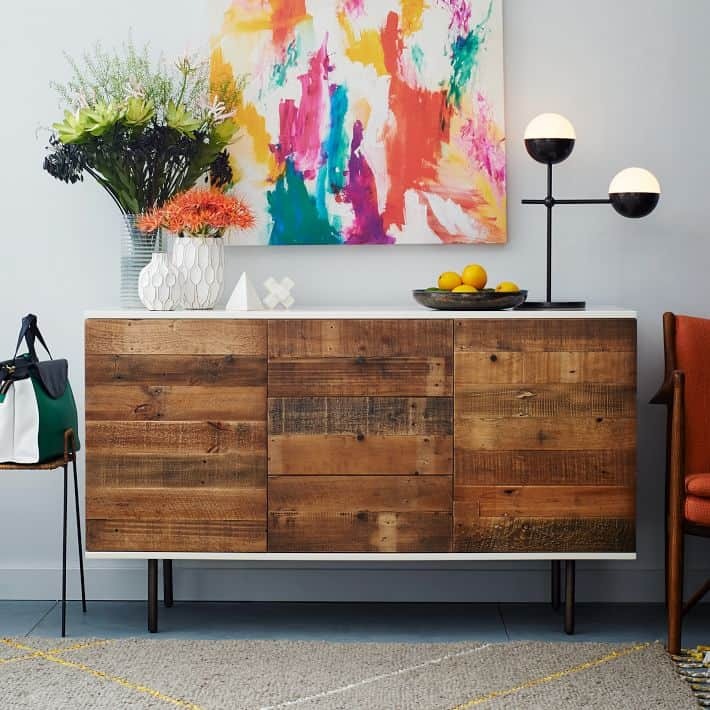 Look at this gorgeous reclaimed wood buffet. It makes a statement without shouting, “Here I am. Look at me!”. Place of My Taste shares how to complete the project on your own. Sometimes the best home improvement projects are the ones that are the quickest and easiest. 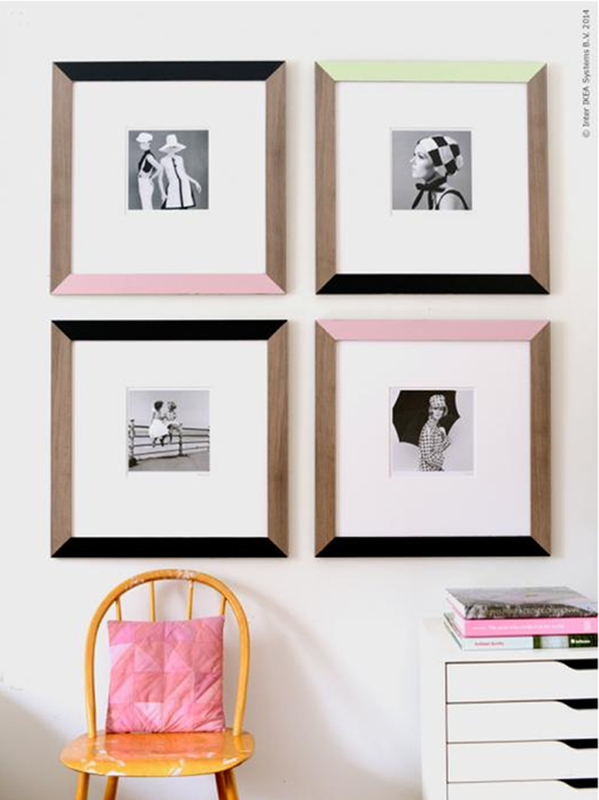 These painted frames are a great example of what I’m talking about. Isn’t it amazing how much personality comes out of the same frame just by adding multiple colors? Find this IKEA hack from Poppy Talk. 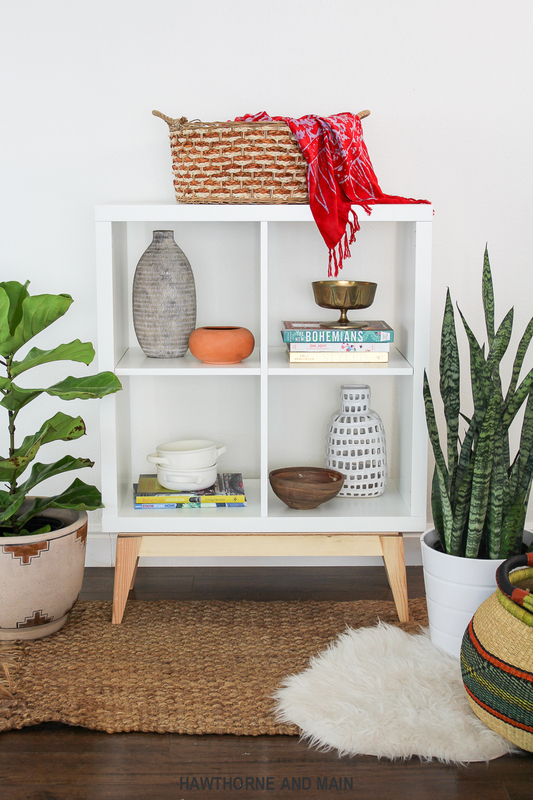 This IKEA hack is another example of the power of paint. Too bad you can’t actually dip the stools to paint them, but the project is wonderfully not that much more difficult. Create your own with information from Style Me Pretty.